For much of his career, Dr. Donald Berwick has challenged executives and clinicians alike to address the industry's shortcomings, particularly when it comes to quality of care. Now, the former head of the CMS is asking physicians to become more active in addressing social and public policy issues that impact patients, especially those in disadvantaged communities. Berwick, president emeritus and senior fellow at the Institute for Healthcare Improvement, penned an opinion piece in JAMA late last year arguing that this generation of physicians faces the most challenging set of moral choices in a century. Modern Healthcare safety and quality reporter Maria Castellucci talked with Berwick about these moral struggles. The following is an edited transcript. Modern Healthcare: What inspired you to write the JAMA article? 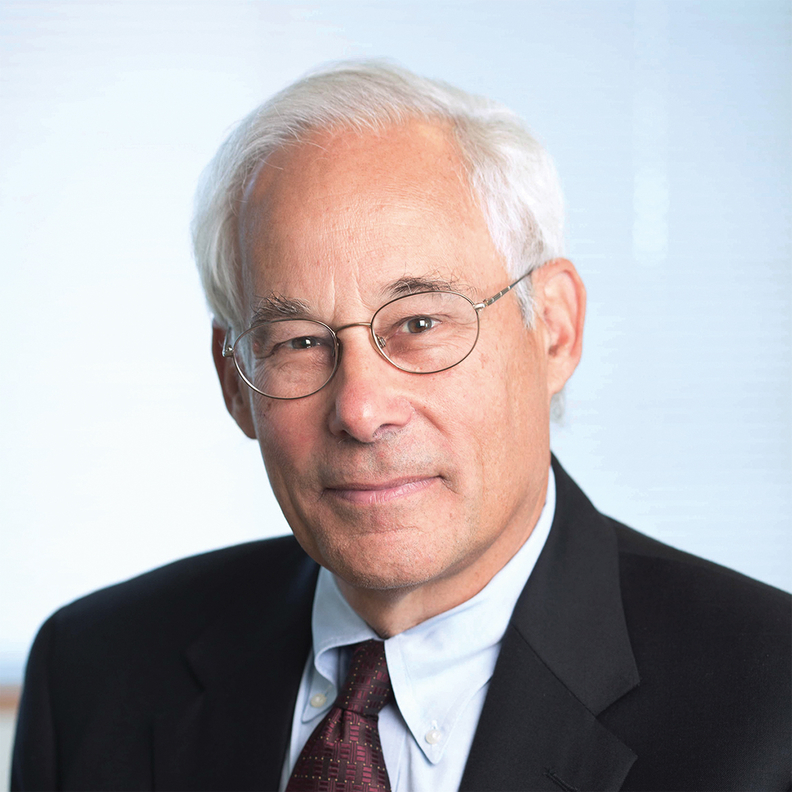 Dr. Donald Berwick: That article was based on a graduation address that I gave at Dartmouth Geisel Medical School. I wanted to raise the ethics issues for the profession today. I'm very worried about direction in public policy and some corporate behaviors. I think it's going to take some pushback to make sure that care and investments and public policy remain really focused on the needs of people, especially people in disadvantaged communities. We need an affirmation in the country—the importance of compassion, the safety net and care of the vulnerable, and the importance of investments in social determinants of health. These aren't going to happen automatically. They wouldn't anyway, but in this current administration, which appears less attentive to the needs of vulnerable populations, I think the damage will be very severe if we don't redirect. I was calling on these young people to begin to see themselves as professionals who are also activists in pursuit of social justice. MH: Is that a new way to think for physicians, speaking out about policy issues, or do you feel they're nervous to talk about those kinds of things? Berwick: There have always been physician leaders who have gotten involved in very important policy matters. I'm thinking of Dr. Julius Richmond, the former U.S. surgeon general who finally brought the anti-smoking efforts of the nation to the fore. And that wasn't just a matter of health or even public health. It was a matter of policy. I'm thinking about physicians like Jack Geiger or Bob Haggerty, who are great names from the past, who tried to figure out how to bring healthcare to very stressed populations. That's how the community health center movement got founded. That's where our modern understandings of the relationships between poverty and mental health come from. So, these are physician leaders. Overall, when you're trained as a doctor, in most places you are trained in the ethics of the profession, narrowly drawn to be honest, to be committed to the patient first. I think the idea of being connected to the larger policy environment as a matter of your duty, it hasn't been a major theme. I think it needs to be one. MH: Can we talk a little bit about the last year? We saw a lot of attacks on access, about repealing the Affordable Care Act. How do you think that affects quality improvement? Can you really make strides in quality improvement when we're distracted by these things? Berwick: It's very difficult. The attacks that concern me the most right now are attacks on the medical safety net—this persistent attempt to undercut the foundations of Medicaid, to make fundamental changes in a program that has largely been very successful. And it needs more support, not less. So, harming Medicaid, taking away the subsidies that are available to people just above the poverty line and the premium support system, these are very destructive to people who really need healthcare and are going to lose healthcare, and that's unconscionable. You can't have quality healthcare if you can't get healthcare. More broadly, improvement of outcomes for populations today involves investment in the determinants of well-being. That includes the consequences of poverty, the problems of access to nutrition and housing, transportation, the way we deal as a society with violence, the substance abuse epidemic and how we're going to deal with that socially. These require investments and they require government investments. It can't just be done in the private sector. And those also are being cut back at exactly the time when we need those investments to be increased. So, yes, quality takes fuel, and the fuel here is the ability to invest where the sources of suffering come from. MH: What's your view of how things are going in the move to value-based payment and care? Berwick: We haven't seen all the details yet. We don't know exactly what's going to happen in the budget, for example, to investments like that. I would say there are two levels of your question. One is just around value-based payment, this move away from fee-for-service toward payment for care of populations. That makes a lot of sense. And, in fact, it was in part a bipartisan agenda for a long time. Now it's not clear what the future is for that shift. One of the stalking horses is the bundled-payment innovation. Before the Affordable Care Act, we had a series of experiments with changing the way we pay for care in some conditions. The idea was to expand for payment of episodes of illness, which makes a lot more sense. To do that, you need a consolidated bundled-payment. And it worked. The results weren't staggering, but they were positive. Under current law, the CMS had the authority to extend this successful pilot to a national scale and the Trump administration backed off. That's throwing away knowledge. It's failing to act on very useful knowledge about what kind of payment improvement could help. Bundled-payments are only a step toward really paying for care of populations for value. My own view, by the way, is that the secret is not so much in the contingency—that we'll pay you for outcomes, for example. I understand why people want that. But I think the benefit is actually in the aggregation of the budget at the population level so that somebody at an organization can say, "We'll really attend to the needs of this whole population and be able to move resources where they are needed." MH: As you look to 2018, what is going to keep you up at night? Berwick: Medicaid. The state of Medicaid, the supports to the lower middle class—people whose incomes just don't allow them to buy health insurance without support—this is now under threat. Second would be a loss of progress toward working upstream on social determinants of health that is a regression to just acute care as the fundamentals—when we really need to be investing in things that make communities sound. There also are other trends—the market consolidation we are seeing with hospital mergers. These are the horizontal consolidations where you get larger and larger footprints of, say, multihospital systems in the market when the data are unequivocal that that drives costs up. It's alleged to reduce inefficiencies, but that's not what the data show. MH: What about vertical integrations like CVS Health and Aetna? Berwick: It will depend on whether they're able to behave in a really responsible way. But we need innovations and by putting together parts of the system that normally haven't been cooperating well—not in terms of monopoly power, but in terms of creativity for new care—I think there could be some promise there. But if they really are innovative and they really keep the patients' interests first and they work hard on cost reduction for people, I think we might see some useful changes. MH: Do you think we've seen more awareness and efforts to address the burden on physicians? Berwick: Yes, but not just physicians. Physicians and nurses and other health professionals. Our nursing shortage is massive and in crisis, and it's just coming down the tracks at us. It's going to hit us very hard. So it's not just doctors. And when your clinician is distracted or feeling overwhelmed, guess what? It can't be as good as it would be if they are joyous in their work. Physicians are pressured to do more with less, to be under more surveillance and control and scrutiny. And value-based payments have sometimes taken the form of very difficult-to-manage contingencies in the world of the doctor. I think they distract you from the patient. We know from Dr. Christine Sinsky's research that the vast increase in electronic health records, although at some level it's got to be good, has led to a distraction of doctors away from the eye contact and focusing on patients and much more time actually going through administrative processes. So this is a convergence of pressures that are really hurting the morale of docs and nurses. MH: Do you think there's a solution to that? Berwick: Sure. It's creating new context for work, new models of delivery, new relations to the patient. We've got the answer. We need to push back against the worst behaviors of the corporate systems in healthcare; we need a commitment to the poor, because if you're going to fight illness, you're going to have to deal with poverty. Illness and poverty are connected. So, the answers are here. We just aren't using them.